Thanks to James He in Facebook's forum https://www.facebook.com/groups/guqinguqin/ I now know that there is another online store called Sound of Mountain that sells guqin and is willing to ship it to anywhere in the world, besides Sound of Asia and ChineseCulture.net. Hello, I am interested in learning guqin, may I know are there other places in Singapore besides Gtar Enterprise and He Yue Zhai that retails guqins? 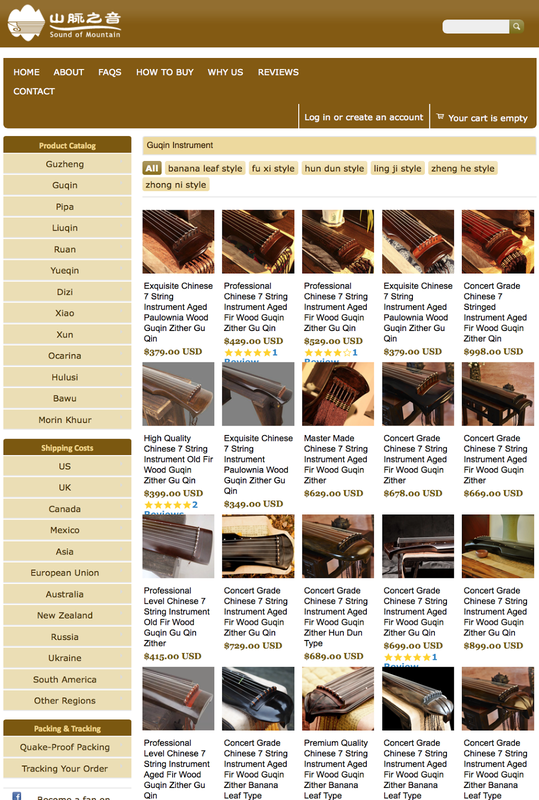 How much does a guqin for beginners usually cost? Appreciate your help, thank you! Hi there, sorry for my late reply. Can you please email me shawnhow (at) Outlook (dot) com so that I can email you Mr Kee Chee Koon's phone number as he has a very good collection of guqin for sale in his school in Tampines. Mr Kee Chee Koon is widely regarded as a pre-eminent guqin master in Singapore, and he also makes his own guqin. I believe he also has a doctorate in guqin research from a university in China. I look forward to receiving your email.